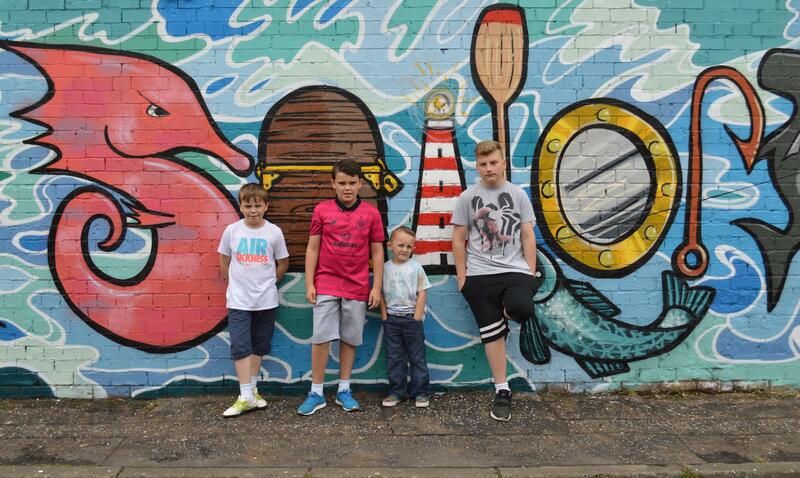 Residents of Sailortown and Clanmil Housing’s Harbour View Apartments have caught the spray art bug. Children living in the area had created a graffiti piece in the underground car park of the apartments but they wanted to show off their artistic talents more visibly and share them for all to see and this is where Community Arts Partnership stepped in. The “Welcome to Sailortown” piece is located on Short Street. Gerard Rosato and Elizabeth Martin from Clanmil Housing and Julianne Skillen, Development Manager at Community Arts Partnership. Oscar, James, Caidan and Danny participants, from the Clanmil Housing’s Harbour View Apartments. Hit the North is our spray art festival which runs in September every year. Now in its fourth year the festival also has a community engagement programme for groups to take part in. 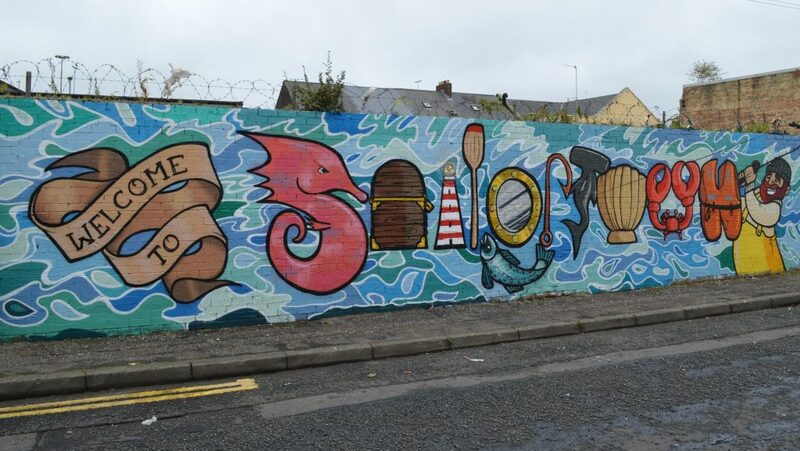 So for 3 days in August artists Tim McCarthy (aka Verz) and Marian Noone (aka Friz) worked with 10 young people to create a welcoming piece for Sailortown and as you can see from the images the results are awesome. The piece has a sea theme reflecting the name, history and heritage of the local area. 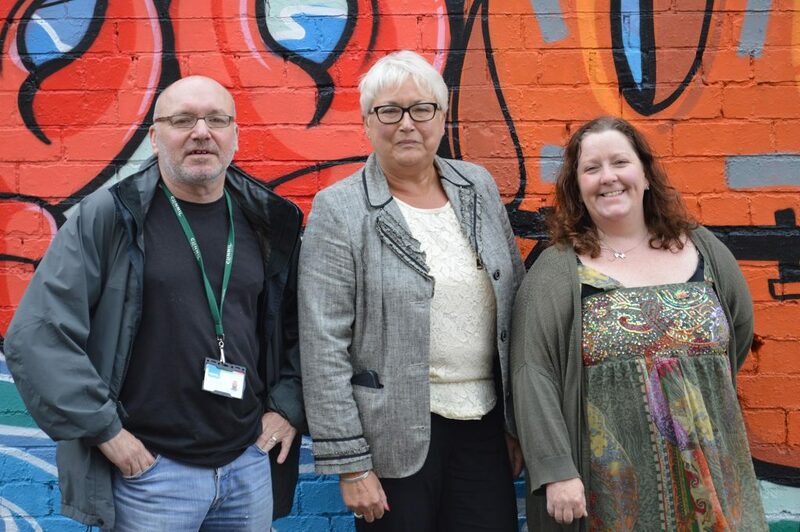 The art work was launched on Wednesday 11 August as part of the New Lodge Community Festival. Other community groups spray painting away are Denmark Street and Suffolk Community Centres, Holy Trinity Youth Group and Ballybeen Mens Motivation Group and their creations will be featured in future articles.